I quote one blogger in this article. I do not write this article as a blasting of the author. Rather, I found his statement to be a concise and articulate stating of what is troubling many frustrated Catholics seeking to be faithful to the Church and are feeling like they're being left out on a limb. A person who sees this article as an act of judgment of any specific person misunderstands what I am trying to say. Nor is this article a defense of Cuomo and the New York Legislature. What they did was reprehensible and must be opposed. Also, this article in no way advocates a "seamless garment" seeking to say that this issue isn't important or that we need to put equal emphasis on Social Issue [X]. We in the Church need to defend the moral teachings of the Church and, if necessary, admonish the sinner. However, in speaking out on this topic we are obligated to be charitable and recognize the bishops are on our side, not the other side, even if we would prefer a more direct action. Please keep the above in mind when tempted to send in an angry response. With the aftermath of the legalization of "gay marriage" in New York, the scapegoating seems to be in full swing. During the months leading up to this travesty, I was fully aware that the bishops of New York were opposed to the legalization of "gay marriage." Yet now that the bill became "law," there are many who place the blame on the bishops that this did happen to begin with. Yes, the bishops of New York are being blamed for failing to stop the bill from becoming law, and as this goes it becomes less charitable as the idea passes from blogger to commentator. The Internet being what it is, a blogger can say [X] which may actually be quite reasonable. However, some comments become more radical and less charitable in repeating what is said, going from the blogger's "I'm disappointed with how the thing turned out," to the commentator's "The bishops are a bunch of incompetent cowards." The former can be considered charitable. The latter certainly cannot. The point is, the charity towards the shepherds of the Church is greatly diminishing, and all of us are called to consider what we are saying and whether it is just to do so. Are we engaging in a respectful making known of our concerns to a successor to the Apostles? Or are we behaving in an unjust fashion? Now I understand and can sympathize with this frustration. There are many politicians out there who publically act in contradiction to what their Church teaches. At least JFK said that if he felt there was a conflict between his faith and his duty as president, he would resign. Catholic politicians today seem to have no problem ignoring their faith if there is such a conflict, and it is a real problem which needs to be addressed. This is a logically valid form called modus tollens. Since the form is correct, we need to look at the premises to see if they are true or false. Valid is not the same as true. If the form is valid, but the premises are false, the conclusion is not proven to be true. So how can the premises be false in this case? The answer is, if there are more valid options than considered, then it can be said that [B] is not a condition of [A]. If [B] is not the only valid option, or if the bishops were serious but ineffective about stopping "gay marriage" then the above claim is not proven to be true. If Pope Pius XII was [serious about helping the Jews], he would have [excommunicated Hitler]. Pope Pius XII did not [excommunicate Hitler]. Therefore Pope Pius XII was not [serious about helping the Jews]. This argument is rejected by those who know what Pope Pius XII actually did. Indeed he was concerned that acts which would not only not save the Jews [Hitler was openly contemptuous of the Church] but would incite Hitler to target even more Jews. One can see in this case that [A] is not dependent on [B]. 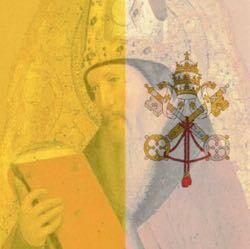 If the Catholics actually [accepted the Bible], they would [accept Sola Scriptura]. Therefore Catholics do not actually [accept the Bible]. The fact that we reject the idea of Sola Scriptura does not mean we reject the Bible. Rather, we think Sola Scriptura is a man made doctrine of the 16th century never held by the early Christians. This argument assumes as true something which needs to be proven. No Christian would accept this. The belief of free will means man can refuse to follow God, and if he refuses to be obedient to God, he can bring harm to others. The point is, these examples say "No" to the question: Does [B] follow from [A]? Thus the conclusion is not proven. Therefore, before we can accept this argument (that the bishops are not serious), it must be demonstrated that [causing sanctions] is necessary to [be serious about protecting marriage] and not assumed to be true. What troubles me is this sort of a statement is an act of judgment, treating the bishop not as a successor of the Apostles but as a coin in a vending machine. We put in a coin and get the desired result: "If the bishop had only done [X] we wouldn't be in this mess!" So here's my problem. If we who profess to be faithful Catholics cannot be respectful to the office of the bishop, how can we even begin to expect those who are public dissenters to be respectful to the office of the bishop when he seeks to teach on faith and morals? Now I do believe that enforcing Canon 915 is something we should do. I believe that encouraging the bishop to enforce canon 915 is a good thing to do. Doing so is not being disrespectful to the bishops. Canon 212 does recognize the laity making their needs known in a respectful (the key word) manner. That difference is the difference of respect for the office of the bishop and the person who holds it vs. the disrespectful attitude towards the office and person of the bishop which seems to show up every time the State acts in defiance of the Church. So let me ask my fellow Catholics, who do their best to be faithful to the Magisterium, to consider some questions. Please note, I am not asking these questions from a position of superiority ("I am better than you because I do these things and you do not") but rather as questions which convict me when I read the Scriptures and Patristics in comparison to what I feel in my heart when I read the news. I know the answer I should give, but, mea culpa, sometimes that comes after the first act of anger. Do we love your bishop as a fellow brother as well as the shepherd over us? Or do you judge him? Do we pray for him? Or do we condemn him? Do we support him? Or is our support conditional on whether he follows our agenda? Do we want those people acting against Church teaching (Obama, Cuomo etc.) to be saved? Or condemned? Do we judge other Catholics for falling away from Church on sexual issues while rejecting the Church on other issues (Social Justice)? I am not arguing for some "Seamless Garment" saying these issues are not important unless we first commit to [X], [Y] and [Z]. I am saying that if we want others to follow the authority of the Church, we need to practice what we preach and follow such authority ourselves. Otherwise we make a poor example to whom the dissenter can say, "Why should I listen to you? You don't respect the authority of the bishop either? Nor do I say if we treat the bishop with respect, the dissenters will too (free will means a person can choose to disobey Christ's Church). Rather I say, if we think obedience to the bishop is so important for the dissenters to comply with, then let us practice what we preach.